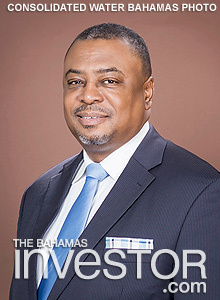 Consolidated Water Bahamas Ltd, a subsidiary of Consolidated Water Co. Ltd. (Nasdaq: CWCO), and a developer and operator of seawater desalination plants, has announced changes to its Board of Directors. Local businessman Ethan Adderley has been appointed to the board, effective as of year-end 2018. The company also announced that long-serving board member, Sir William Allen, has stepped down.